Red Dead Online Beta Title Update 1.05's patch notes detail freebies for players and tweaks as well. Rockstar Games has debuted Red Dead Online's Title Update 1.05, which should be live now for all players. Title Update 1.05 includes several fixes, namely those made to add general improvements to game stability, save data, and resolve certain exploits in the game. Additionally, Rockstar Games has announced a special Gold Gift for players, which will be given out to anyone who's played the game from the beginning of the Red Dead Online Beta launch throughout this Thursday, December 20. Those folks will get an additional 15 gold bars for their trouble. 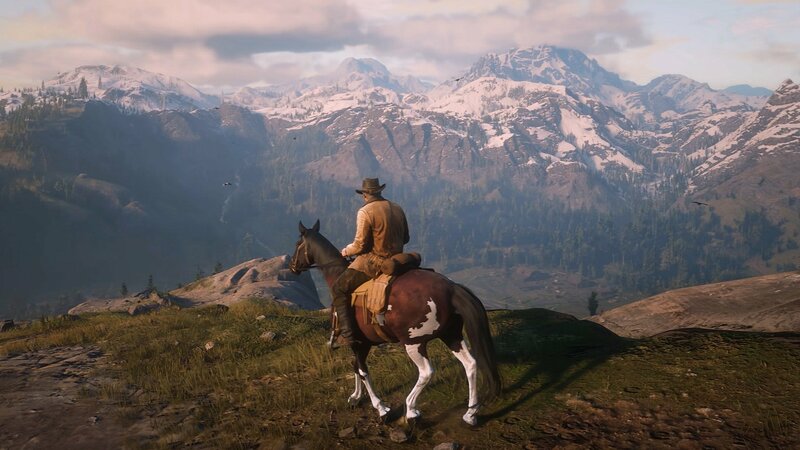 The gold bars will start rolling out today, so if you haven't played it yet, you'll need to make sure you hop online by Thursday to get the free gold. That's not all, though. For anyone who pre-ordered Red Dead Redemption 2 or purchased the Special or Ultimate Edition, Rockstar is giving away gifts of RDO$. They will become active on Friday, December 21 and will automatically be added to your character's balance the next time you play during the beta and permanently after that. Now that the store's accessible in-game, you can spend your hard-earned (maybe not in this case) cash on goodies. There are additional changes coming to the game soon as well, so if you're a faithful Red Dead Online player, keep an eye out for those too!